Christmas is quickly approaching, and many of us are feeling the pinch. Whether you are short on time or money – or both – general dentist in Newberg, OR Dr. Jennifer McLeod and her team want gift-givers to know that there are plenty of inexpensive gift options that won’t hurt your smile! Candles seem like a dime a dozen, but really good varieties might cost a little more but offer greater variety. Try a well-made soy candle or a major brand like Yankee Candle or Bath and Body Works. These candles are still under the $10 mark but pack a lot of punch for the money. Instead of candles, try something natural like a traditional Christmas wreath. Many community groups are selling wreaths this time of year in order to raise funds for a good cause. A wreath can provide a lovely gift with the scent of the holiday season for someone special. A thoughtful and healthy gift can include a basket full of fresh fruit. This gesture of appreciation for someone special can be a welcome break from the sugar-filled treats surrounding us all during the Christmas season. To make your own, gather as wide a variety of seasonal fruits as possible, or stick with the basics like baby oranges, colorful apples and delicious bananas. To save valuable time during these few days before Christmas, enlist the help of your favorite local grocery store to put one together for you. This will most likely cost more than $10, but the sacrifice of money over time just might be worth it! Socks are a gift that’s easy to personalize without costing a bunch of money. A simple online search for novelty socks will turn up a wide range of choices all right around $10 each. Keep your eye out for companies that are offering holiday incentives like free shipping or a percentage discount before finalizing your order. Then delight the special people in your life with fun novelty socks that fit in with their interests. One way to keep costs down is to focus on purchasing small items that can easily fit into a small stocking. A $5 Starbucks gift card, a simple manicure set, a package of gum or mints and a fancy toothbrush can make an easy and fun gift for someone special. Take this opportunity to encourage the children in your life by giving fun and personalized toothbrushes, sparkling toothpaste and dental floss made just for them. While a little more than $10, an electric toothbrush that plays pop music might make the perfect gift for a child in your life! 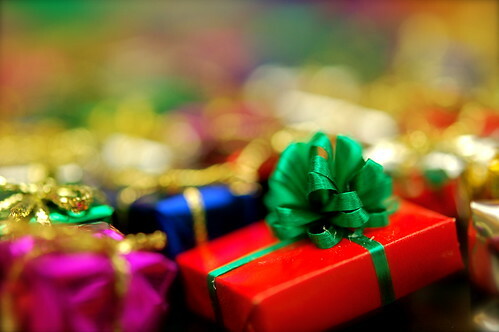 Give yourself the gift of good dental care this holiday season! Call Newberg dentist Dr. Jennifer McLeod at (503) 278-4281 to schedule your appointment.